Glasgow to go for emissions-charging | What Car? Glasgow is poised to introduce a pollution charge for high-CO2-emitting vehicles, as well as introducing charges to park at shopping centres. Under the scheme, Low-Emission Zones (LEZ) would be set up, with drivers of cars that emit high amounts of carbon dioxide being charged to enter them. Glasgow is committed to delivering three LEZs ahead of the 2014 Commonwealth Games and in the immediate vicinity of the main venues. 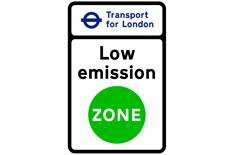 Although no emissions limits have been announced, it is thought the scheme would mirror London's LEZs, which were set up this year. The zones are aimed at encouraging owners of vehicle fleets, such as bus, taxi, haulage and delivery firms, to replace or improve their vehicles to meet environmental standards. However, privately owned cars that don't meet emission targets will also face a fee. Other proposed measures to cut pollution include banning bonfires, increasing enforcement against idling vehicles and carrying out more roadside emission tests. In Scotland, the only previous attempt at traffic and emissions management on this scale was in Edinburgh, where its road-charging plans were dropped after the public voted against them in a referendum.